This winter there have been a few questions about fertilizer license and spreading poultry manure. 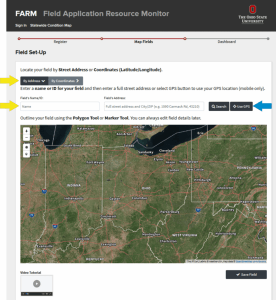 According to Senate Bill 1 (SB 1), passed a few years ago, any farmer handling, receiving, or applying poultry litter (or any other manure) from a PERMITTED farm in Ohio must have either a fertilizer license or a Certified Livestock Manager certificate or be a Certified Crop Advisor. If you have nay questions, call the Knox County Extension Office at 740-397-0401. 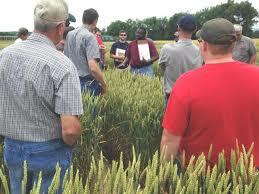 The FSR Agronomy College is held in partnership between the Ohio AgriBusiness Association & OSU Extension. The event is designed to educate agronomists, Certified Crop Advisers, custom applicators and farmers on current agronomy issues. 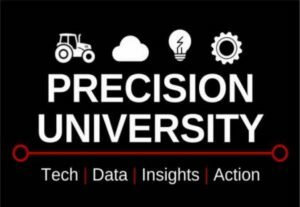 The full-day event features time with OSU Extension staff in the field in the agronomy plots on the east side of the Farm Science Review grounds. 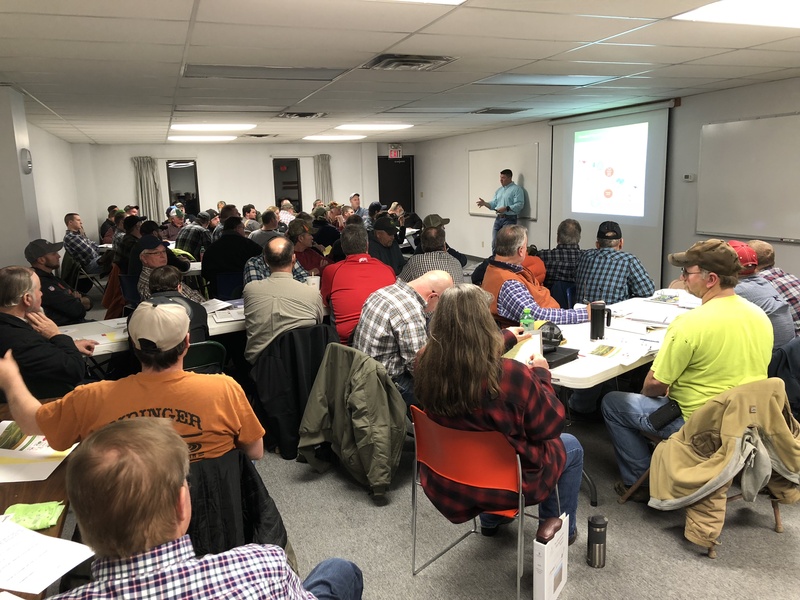 Breakout sessions will feature topics including a weed management update, weed and crop screen, variable rate soybean seeding, an update to the Tri-State Fertilizer Recommendations, the new Ohio Phosphorus Index, and some how we will squeeze in even more. 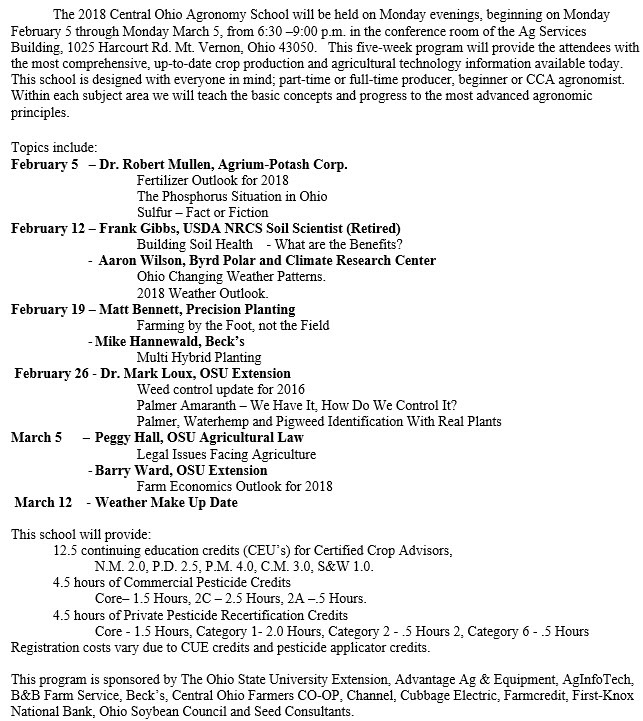 CCA and pesticide application credits available to those attending. Time: Check-in begins at 8:30 a.m.; sessions begin at 9 a.m. and concludes at 4:00 p.m. 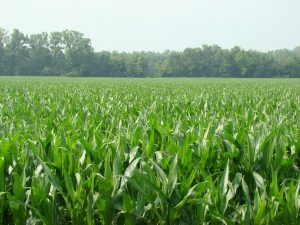 Recent actions by the Ohio legislature and Governor Kasich will affect the management of agricultural nutrients in Ohio. 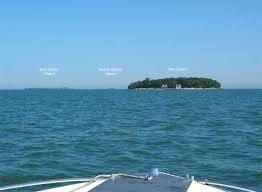 The Ohio General Assembly has passed “Clean Lake 2020” legislation that will provide funding for reducing phosphorous in Lake Erie. Governor Kasich signed the Clean Lake 2020 bill on July 10, in tandem with issuing Executive Order 2018—09K, “Taking Steps to Protect Lake Erie.” The two actions aim to address the impact of agricultural nutrients on water quality in Lake Erie. 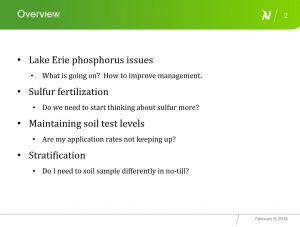 What’s New with Sulfur Fertilizer Use? 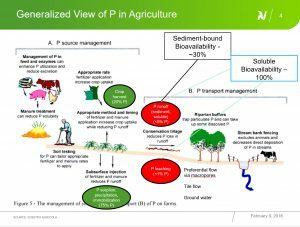 edited from: Charles Wortmann – Extension Soil and Nutrient Management Specialist, Bijesh Maharjan – Extension Soil and Nutrient Management Specialist, University of Nebraska-Lincoln. 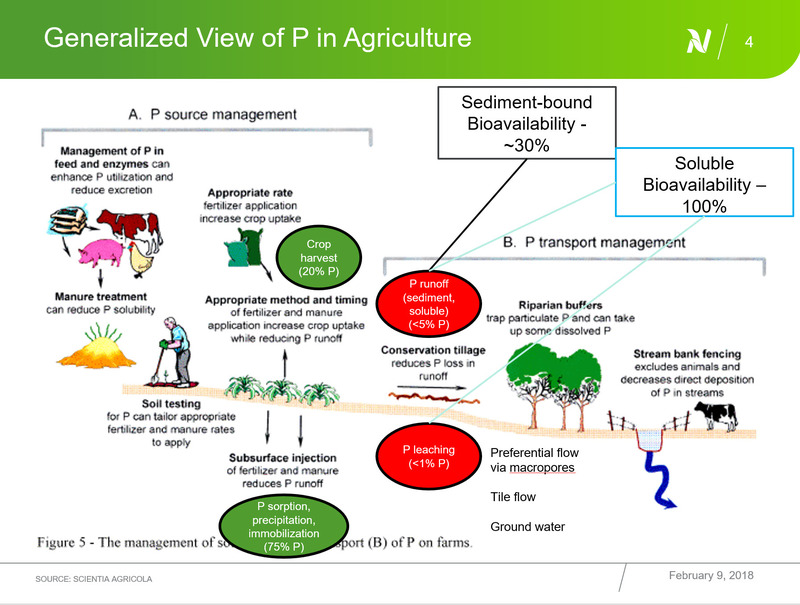 the probability of profit gain due to increased yield from S application to medium and fine textured soil is very low. The S recommendations are addressed in the Nebraska Extension publication, Nutrient Management for Agronomic Crops of Nebraska (EC155). 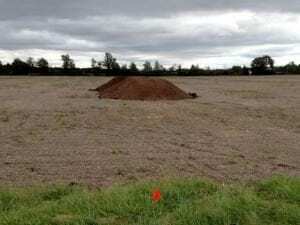 Deposition of atmospheric sulfur and sulfur application in fertilizers such as single super phosphate is much less than it was three to four decades ago. This implies that S availability needs to be monitored. The probability of response to S has been determined in recent years to be high enough for some parts of Iowa to justify routine application. Soil test results for sulfur availability continue to be of little or no value and response is best monitored with on-farm trials comparing yield with and without sulfur applied. 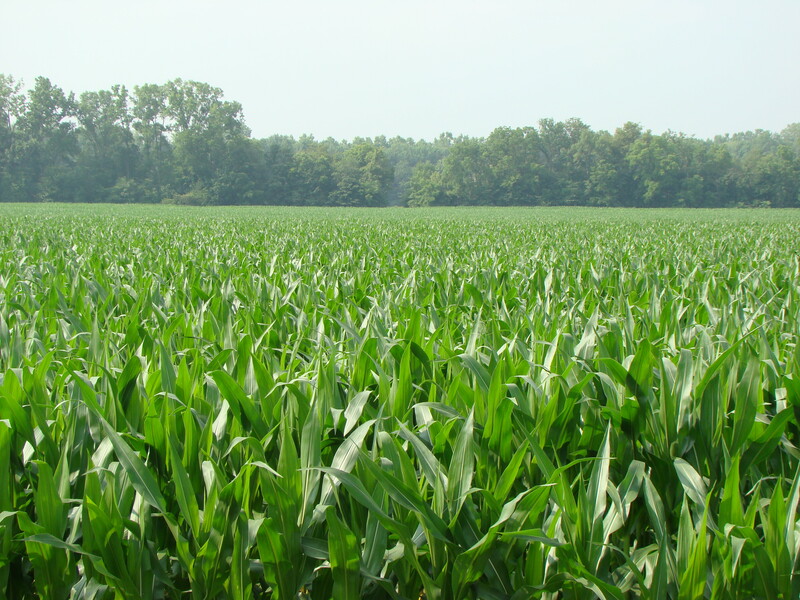 Applying S often does result in greener crops while not increasing grain yield. 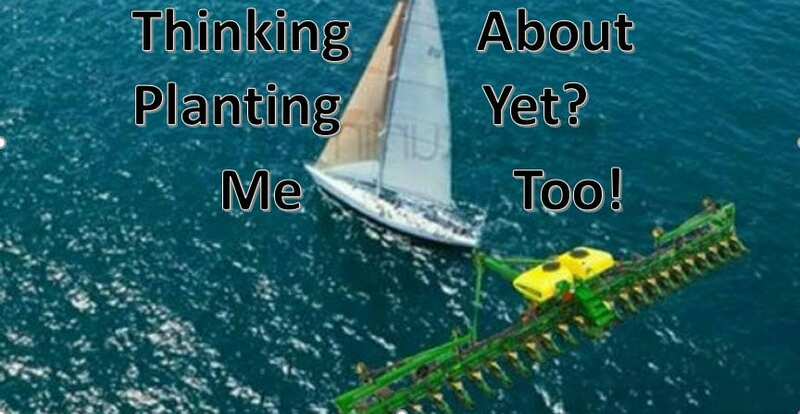 This can be important to farmer satisfaction and impressing neighbors and land managers. Sulfur is abundantly available and fertilizer sulfur use can be of modest cost without much environmental concern. 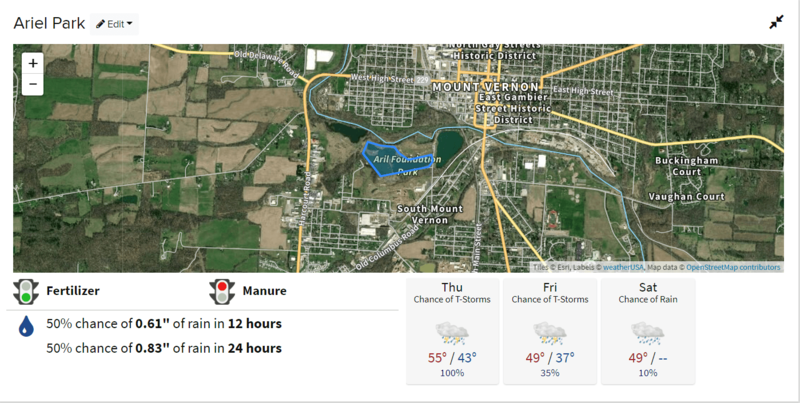 Sulfur applied as sulfate does not affect soil pH, but applied as elemental S, it can contribute to soil acidification. Gypsum is often abundantly available and can be a good sulfur source. Flue gas desulfurization gypsum, a by-product of coal-fired electrical power generation, is a potential sulfur source with a liming effect. 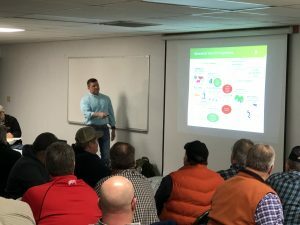 Those of you who attended Our 2018 Central Ohio Agronomy School heard very similar results from Dr. Robert Mullen. Dr. Robert Mullen explains the phosphorus situation in Ohio at Monday’s Central Ohio Agronomy School. 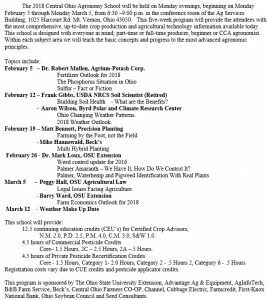 The Central Ohio Agronomy School meets every Monday from February 5 – March 5 from 6:30 – 9 p.m.
February 5 – Dr. Robert Mullen, Agrium-Potash Corp.
Building Soil Health – What are the Benefits? 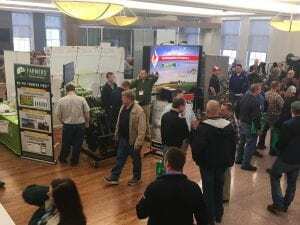 Palmer Amaranth – We Have It, How Do We Control It? Click Here for the Registration Flyer. 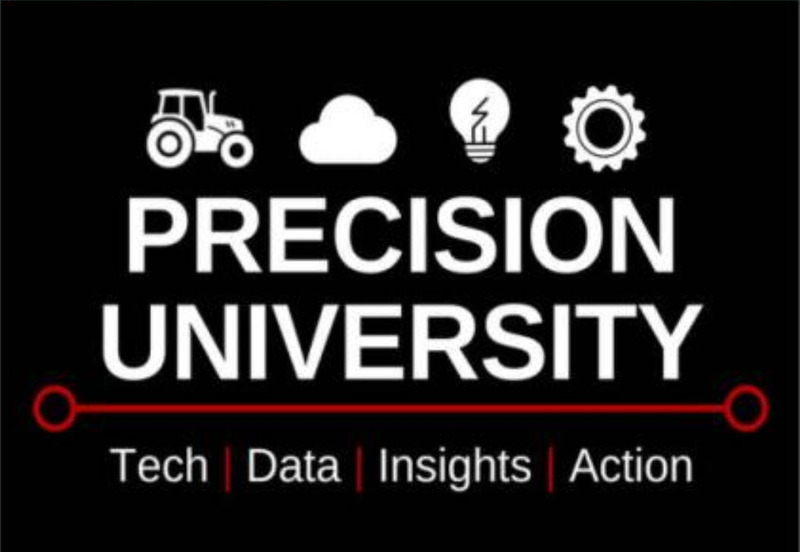 Nutrient Technology Experts will share info on the latest equipment and technologies to ensure efficient utilization of your nutrients applications. Cost $50.00 RSVP by January 5.